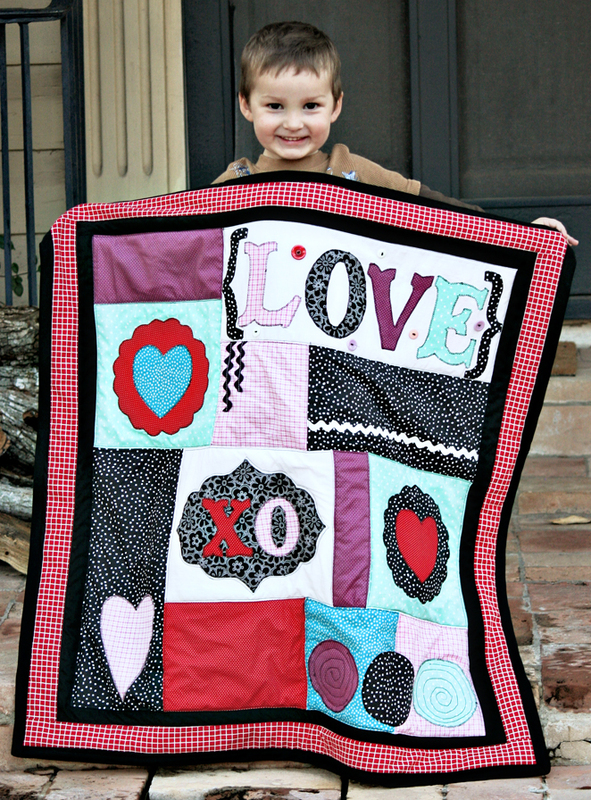 Check out this gorgeous quilt! 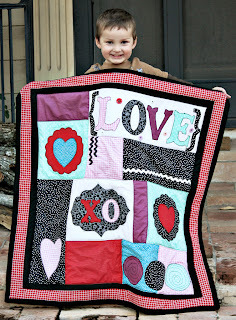 We used a Valentine's pattern from YouCanMakeThis.com to make this fun "Love Quilt" and it turned out really great! The pattern was easy to follow and this quilt was fun to make. There was a lot of applique work, but the quilt was still fairly easy and quick to make. We added a few buttons for the 3D effect and it looks really cute:) YCMT.com is a great place for fun, affordable patterns for all skill levels. Check them out before your next craft project! Disclosure: We received a pattern to facilitate this review. All opinions within this post are ours and ours alone. Thanks YCMT.com!